The Morning Glory is the only room at Luther Ogden Inn with 2 beds (a queen and a twin day bed). It can provide lodging for 3 people with an additional charge of $60 per night for the third person. 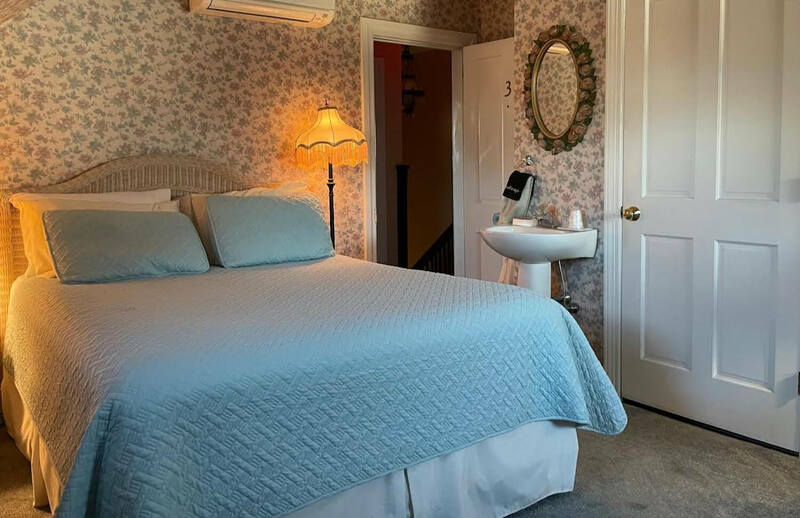 The Morning Glory is a nice Cape May beach option for Mother/Daughter getaways and for guests who would prefer not to sleep in the same bed. The room is lovely for a couple as well, and the extra bed provides a storage area for luggage. 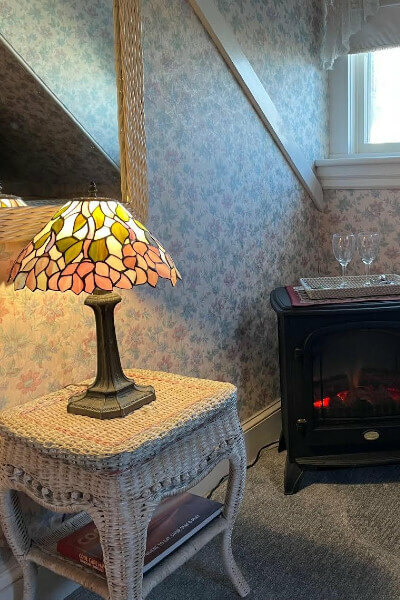 It has a private bath with a very spacious tiled shower, a 32” flat­-screen HD television, seasonal electric fireplace, Wi-­Fi and ductless heat and air conditioning. 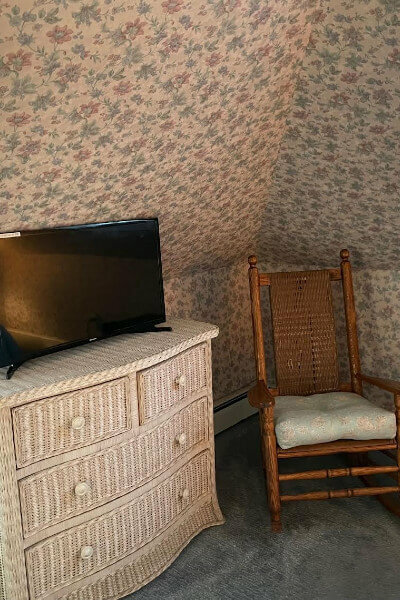 The room is decorated in Henry Link designer beige wicker and has pretty floral wallpaper. A floor lamp and 2 Tiffany­-style table­-top lamps provide excellent lighting for reading. The Morning Glory has 2 windows and easy access to the Hospitality Room for a beverage in the complimentary Luther Ogden Inn mug.